Eating towards your goals shouldn't force you into one "ideal" macronutrient ratio. That's why we've created an entire line of baking accessories. Finally, you can customize your shake or #CheatClean recipe to take control of your nutrition without compromising on taste. Add in fat and carb sources the way you want, when you want. 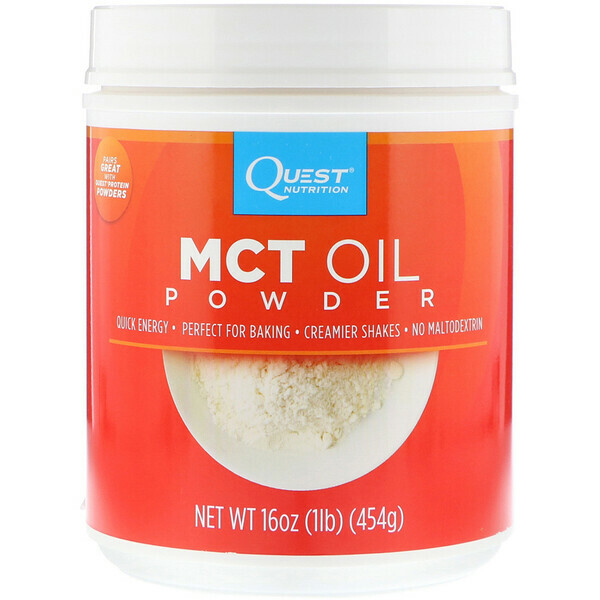 Quest Medium Chain Triglycerides (MCT) powder were created to provide all the benefits of MCTs - a fat source providing you more energy that isn't metabolized the same way as most fats - minus the GI upset that liquid MCTs cause. 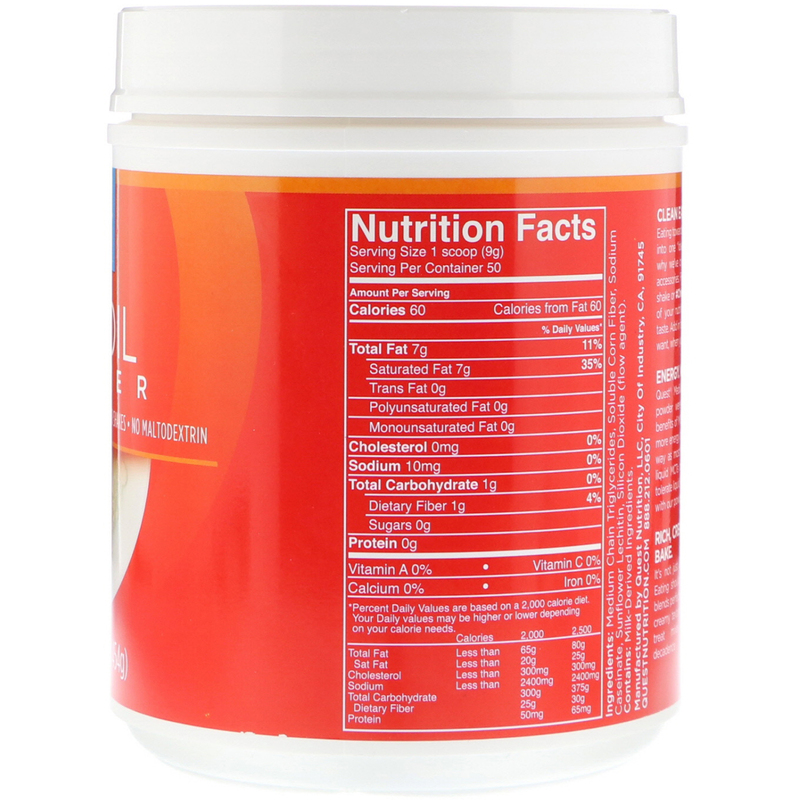 Most people who can't tolerate liquid MCTs have no digestive distress with our powdered version. Rich, Creamy Shakes. Easy to Bake. It's not just about the nutritional benefits. Eating should be fun. Quest MCT powder blends perfectly into your shake to add a rich, creamy texture and mixes easily into baked treat mixes for more #CheatClean decadence. Pairs great with Quest-Protein Powders. Medium chain triglycerides, soluble corn fiber, sodium caseinate, sunflower lecithin, silicon dioxide (flow agent). This package is sold by weight, not volume. Some settling of contents may occur. Keep container closed and in a cool, dry location.